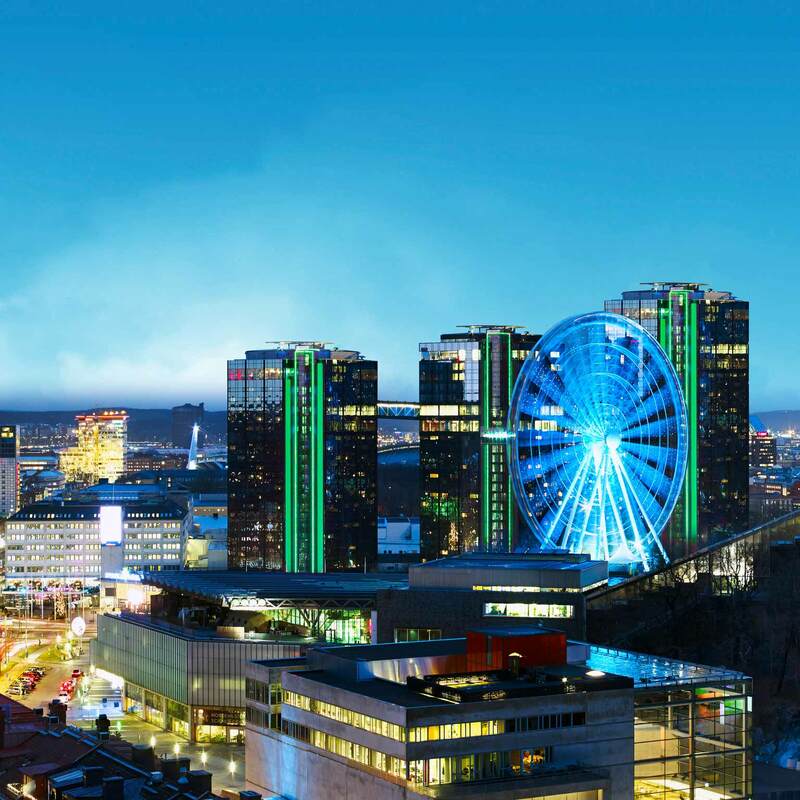 Gothia Towers is the largest hotel in Europe to be certified according to BREEAM’s level Very Good. “The BREEAM certification is part of the Swedish Exhibition & Congress Centre’s vision to become Europe’s most attractive venue by offering the best overall experience. By choosing us we guarantee our visitors and customers that their stay, event, congress or conference meet their own sustainability criteria and that we take our responsibility”, says Carin Kindbom, CEO of the Swedish Exhibition & Congress Centre where Gothia Towers is included. About fifty hotels worldwide have previously been certified under BREEAM, but none have had more than 350 rooms. Gothia Towers is one of Europe’s ten largest with 1,200 rooms. “The certification is a proof of quality to show that we are working with systems that demand high quality levels and that are recognized as an industry practice worldwide. As our venue is located in the centre of Gothenburg city and with large visitor flows, it is important that we take our responsibility and contribute to a sustainable city as well. This is also why sustainability is one of the Swedish Exhibition & Congress Centre’s five core strategies”, says Carin Kindbom. “As the building’s design and operation is sustainable, we will reduce our ecological footprint together with our visitors and customers. This will altogether demand less of our earth’s limited resources”, she continues. BREEAM is an environmental certification from Britain and stands for “Building Research Establishment Environmental Assessment Method”. It is the world’s most widely used environmental classification system for buildings.